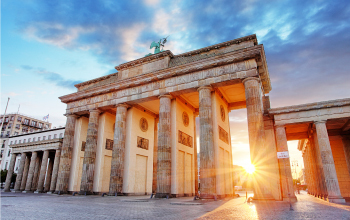 Learn, Experience, and Explore Germany! Our German exchange program gives you the opportunity to live the everyday life of a European student in high school. During your time abroad, you will experience another way of life, learn another language, and meet many new people. Are you ready for the experience of a lifetime? 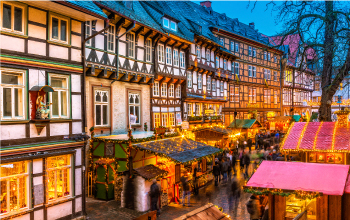 Live with a German host family: German host families have a wide range of ethnic and religious backgrounds as well as varied family structures. Attend a German high school: Each morning you will attend classes and have the late afternoons free to dive even deeper into the daily life of a German student. This will be your opportunity to do some activities with your new friends! Be considered a young adult: During your German exchange program, you will be independent and will enjoy more liberties! You will be free to go shopping, watch a movie at the cinema, or meet up friends at a café. Experience local culture: Get ready to support a soccer team! It is the favorite sport in Germany. Ayusa Germany Abroad offers a variety of program types and program lengths. There is a program for everyone! This camp provides students with the opportunity to study the German language in an invigorating environment while immersing themselves in the German culture. Intensive German courses take place in the morning, Monday through Friday, for a total of approximately 15 hours per week. Ayusa organizes additional afternoon activities three to four times per week. Students attend a local secondary public school during the day and get to know German family life in the afternoons and evenings. Students are welcome to begin their program either in the summer or the winter. Program duration is flexible and can range from a few weeks to a complete school year. Visit the Ayusa Germany site to learn more details about the programs available, request additional information, or to start your application!